Me™ brings new meaning to custom-designed seating. Your comfort. Your style. Your chair. With Me™, designer Colin Stewart has created a chair that we believe provides unprecedented comfort and natural posture support. 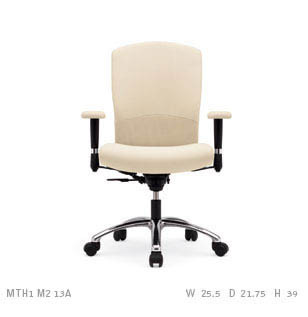 This is a versatile seating solution for any management, task and conferencing environment. Think of Me™ as your personal seating nirvana: the search for the perfect chair is over.